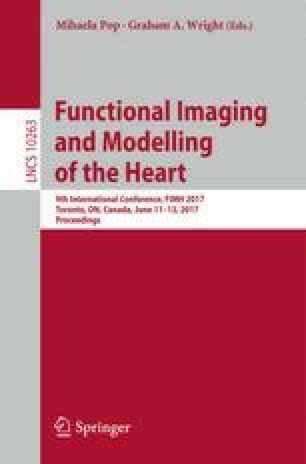 The electrocardiographic imaging (ECGI) inverse problem is highly ill-posed and regularization is needed to stabilize the problem and to provide a unique solution. When Tikhonov regularization is used, choosing the regularization parameter is a challenging problem. Mathematically, a suitable value for this parameter needs to fulfill the Discrete Picard Condition (DPC). In this study, we propose two new methods to choose the regularization parameter for ECGI with the Tikhonov method: (i) a new automatic technique based on the DPC, which we named ADPC, and (ii) the U-curve method, introduced in other fields for cases where the well-known L-curve method fails or provides an over-regularized solution, and not tested yet in ECGI. We calculated the Tikhonov solution with the ADPC and U-curve parameters for in-silico data, and we compared them with the solution obtained with other automatic regularization choice methods widely used for the ECGI problem (CRESO and L-curve). ADPC provided a better correlation coefficient of the potentials in time and of the activation time (AT) maps, while less error was present in most of the cases compared to the other methods. Furthermore, we found that for in-silico spiral wave data, the L-curve method over-regularized the solution and the AT maps could not be solved for some of these cases. U-curve and ADPC provided the best solutions in these last cases. This study received financial support from the French Government under the “Investments of the Future” program managed by the National Research Agency (ANR), Grant reference ANR-10-IAHU-04 and from the Conseil Régional Aquitaine as part of the project “Assimilation de données en cancérologie et cardiologie”. This work was granted access to the HPC resources of TGCC under the allocation x2016037379 made by GENCI.